Video security and surveillance equipment use two broadcast standards, NTSC and PAL, sometimes called “European PAL” and “North American NTSC”. Knowing which standard your Surveillance equipment, security cameras or video recorder uses is essential when updating firmware. Since most security & surveillance equipment is manufactured in Asia for use worldwide either standard can be used in your surveillance equipment. NTSC and PAL video security cameras and DVR’s NVR’s video encoder/decoder and receivers will work in any region if they are paired with security cameras/ and video recorders of the same format. As an example, a NTSC security camera will work on NTSC DVR in a country that uses the PAL format, the same goes for PAL a digital video recorder in North America which will work with a PAL surveillance camera. Because it will work does not make it a good idea, as a rule: Always use the video format that was intended for your region. 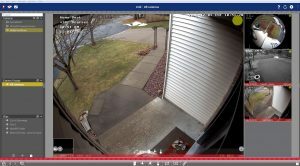 Mismatched security devices will result in unusable video security footage, until resolved you will see moving horizontal lines, rolling pictures or a blank screen instead of clear & crisp video security footage. 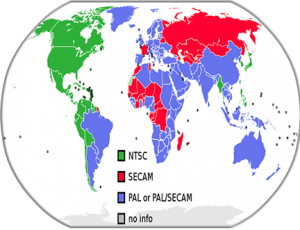 There are two additional TV standards SECAM and ATSC but these aren’t often used in security and surveillance equipment, so we will not go into further detail about them. We have provided the name for each organization’s acronym and a link to further research if you would like to know more about their functions. PAL – Phase Alternating Line. NTSC: used in North America and portions of South America and Asia. PAL: used in most of Europe, Asia, Oceania and portions of South America and Africa. ATSC: are a set of standards for digital transmission. 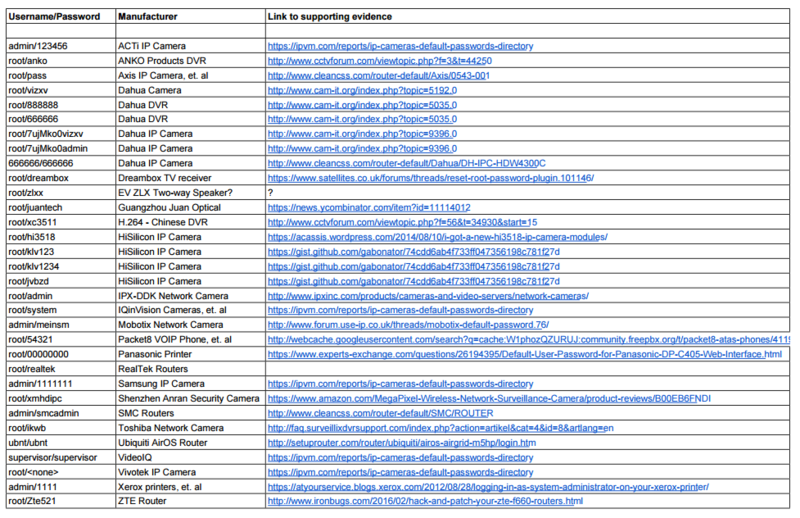 H.264, H.265 & MPEG codecs are among the video compression standards used in security and surveillance equipment. Such as IP cameras, Network video recorders (NVR). Wikipedia maintains a list on ATSC standards. You can visit the ATSC website here. The ATSC oversees many standards, this infographic shows the 17 finalized standards that were added in November of 2017 for the 3.0 update. With the world going digital our TV standards are changing too. Many of the NTSC countries have chosen the ATSC standard for digital transmission. Digital broadcasting allows higher-resolution television, but digital standard definition television will continue using frame rate & lines of resolution (TVL) established by the analog NTSC standard. Countries the used the PAL standard have converted or are currently converting from PAL to DVB-T or DVB-T2 too, a few other countries have chosen DTMB or ISDB for their digital TV standard going forward. Maintain a list of which TV standard individual countries use. How “KRACK” (Key Reinstallation AttaCK) affects video security, surveillance cameras, access control and IoT devices. A Serious flaw has recently been discovered in the Wi-Fi Protected Access WPA2 protocol that lets attackers intercept passwords and more. This one of the more serious threats our new connected world has faced. Security flaws do not get much worse than this, Krack affects nearly every wireless device using WPA2 that has not been patched. The risk is especially severe because WPA2 is used on a majority of internet-enabled mobile devices, access points and router’s. As we advise with your video security cameras and all surveillance equipment Check your manufacturers website for firmware updates to patch this weakness. We will include a list of vulnerable devices along with links to the manufacturers firmware support sites at the end of the post. Keep in mind the vulnerability is in the Wi-Fi standard itself, and not in individual products or implementations. Therefore, any correct implementation of WPA2 is likely to be vulnerable. The vulnerability could affect all software platforms, including Microsoft Windows, macOS, iOS, Android, Windows and Linux. This means your video security cameras, network connected digital video recorders and encoders are at risk as well. Krack WPA2 wireless security vulnerability. 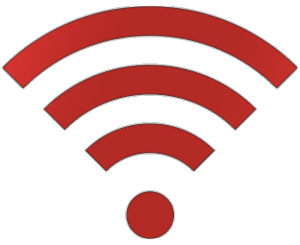 Check your wireless device manufacturers website for latest firmware for all devices that implement the WPA2, Wi-Fi Protected Access. Below is a partial list of affected manufacturers. CERT has put together a detailed list to check to see how your manufacturer is affected with links to manufacturers website. Secure video security and surveillance systems. 1080p solutions from Lorex Flir. High definition security cameras. We have recently seen an increase in attempts to “hack” certain security systems. Some of these attempts have been successful. Your security is our highest priority. We are committed to making our products more secure in an ever-evolving and challenging cyber environment. We are taking all necessary steps to address this situation quickly. Q: How do I know if my firmware is up to date? A: You can check what firmware you have by pressing the ENTER button on the front panel of your recorder. You can then crosscheck your firmware number at Lorextechnology.com/support, which lists current firmware versions by model number. Q: What do I do if I receive a firmware upgrade notification? A: We have pushed out new firmware “patches” that address this issue. Please accept this upgrade request as soon as you receive notification. Notification via app / client software: When you access the device with the mobile or client app, you will be prompted to download the latest firmware. Simply accept the firmware upgrade. Notification via recorder: If the recorder is connected to the internet, you will receive an onscreen notification of new available firmware. 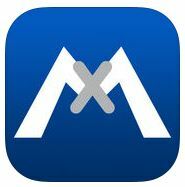 Ensure you have your administrative password when you accept the download at the recorder. If you forgot your password, you will need to contact technical support at 1-866-816-5919 for a temporary reset password.Q: What models may be vulnerable? A: Newer models are not affected, including the NR900 Series, NR800 Series, DV700 Series, LHB900 Series, LHB800 Series, LNK700 Series, LHA4000 Series, LHA2000 Series, LNR400 Series, LNR100 Series, LHV2000 Series, LHV1000 Series. Please check Lorextechnology.com/support for a list of available firmware. This page will be updated regularly. NOTE: Some of the older DVR and NVR Series recorders do not support upgrades over the network. These models require manual firmware upgrades. For full instructions on upgrading these models, visit Lorextechnology.com/support. Q: How do I know if my system has been hacked? A: It may not be clear if a system has been hacked or not. It is important to take measures to prevent your system from being compromised. We strongly recommend updating firmware to the latest version and creating a strong, new password as soon as possible. Q: How can I protect my system from being hacked? A: We have pushed out firmware “patches” to all models that can accept firmware upgrades. Ensure the recorder is connected to the Internet so you can accept this upgrade request right away. If you cannot access your system, call our Tech Support number at 1-888-425-6739. Please have your model number, serial number, and device ID ready so we can assist you. After your credentials are verified, the agent will help you re-establish control by issuing you a temporary reset password. It is very important to then change your password to a strong and unique one that you will remember. Do not re-enter the default password, temporary reset password, or any previously-used passwords. The Red Hawk Video Security blog will cover different aspects of video security and the always changing technology in the most straight-forward way possible.